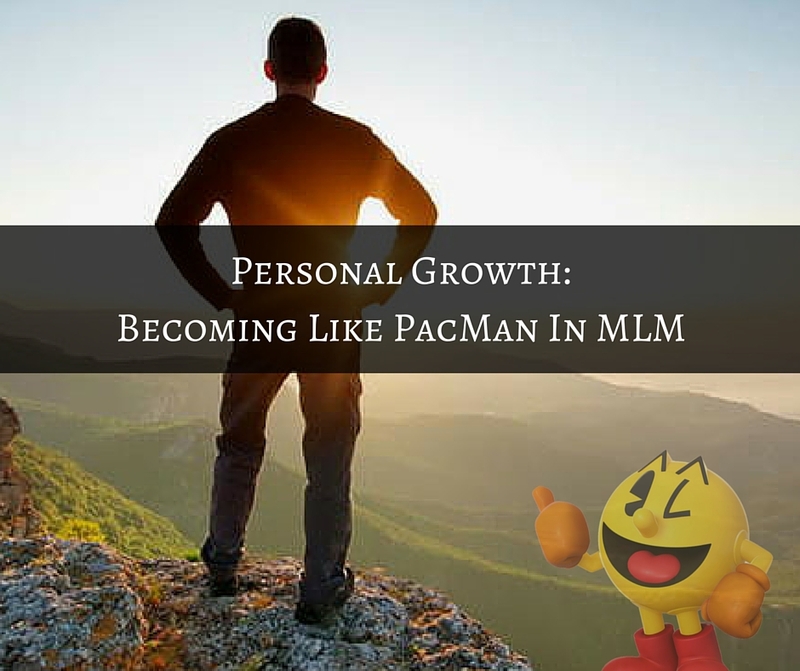 I was talking to a client yesterday about personal growth mostly concerning our children when the idea of PacMan came to mind. How does this relate to Network Marketing, you’ll see? When it comes to personal growth and getting better at our craft there is no better system around than this one. So here’s how the conversation went. We were talking about how funny it is that when our children or even us for that matter get older how smart our parents and other adults become. So what does PacMan have to do with anything? Well here goes. 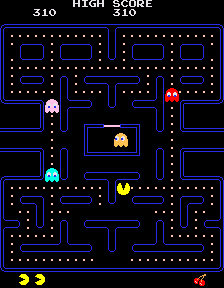 If you remember the game of PacMan there were two main things going on all the time. Things were always on the move. If you think about it this is exactly what we should be doing in our personal growth. We should be gobbling up all the information, training and coaching we can from those who know more than we do. Then we should teaching, coach and training those behind us so they can do the same thing. We should always be chasing and we should always be chased! If you are not chasing personal growth and you are not being chased by others then you are dead in the water!! It’s like the cycle of life. We grow up and find out that our parents were pretty smart after all. Then our children grow up and find out the same about us. Not sure why PacMan popped into my head concerning Personal Growth and I’m certainly dating myself, but it sure seems like a great analogy. So hopefully the next time you think about your own Personal Growth PacMan will pop into your head and you will remember this illustration. If you enjoyed this post, Personal Growth: Becoming Like PacMan In MLM, then you will like this one too… Personal Growth: 4 Levels of Competency. I love how you said we should be gobbling up all of the information we can and then turning around and teaching that to others. Such a good point here and by doing this, we can truly grow! Thanks for sharing Ron. This is another great post! Thank you so much Sherri…..it just popped into my head…..
Heh, that’s an interesting way to look at it. I like the idea of always remaining active and always being on the move. Momentum is needed to make the most of our lives. I’m a new fan by the way! Followed you on Twitter. Have to keep that momentum going..
You are so right it’s the circle of life; gain information and knowledge and keep sharing. Love the way you put it in the video, keep gobbling up all the information & pass it on. Thank you for sharing! I absolutely love this subject Ron especially the comparison to PacMan which was my absolute favorite game! Great post! Always chase personal growth or you will not be chased by others. I love this post Ron. Thanks for sharing. CHASE and BE CHASED! Good stuff. *WOCKA WOCKA WOCKA* The sound of PacMan jumps into my head. Great point. Devouring everything in our path, and passing on the knowledge. Thanks for sharing. It is a great analogy. Action triumphs everything fear, doubt, etc. PACMAN LOL…I love that analogy! Awesome post Ron. 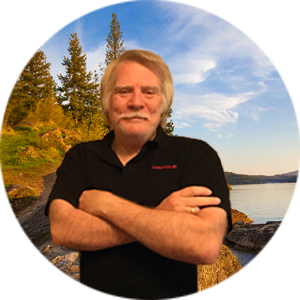 Loved this post Ron! Pac Man was one of my all time favorite games as a kid. Loved it, great way to use the video game that most can relate to … in computer programming school a student made the program of Pac Man from scratch. It was cool just like your post.